Elizabeth from Simple Simon & Co. made this cute wrap skirt and shared her tutorial in a guest post over The Crafting Chicks. 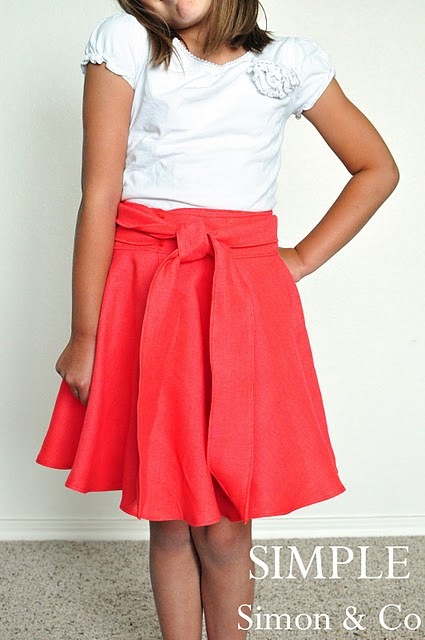 It is perfectly cute for girls of all ages! You can learn how to sew a circle wrap skirt HERE.